Looking for the ultimate way to gain a competitive advantage? 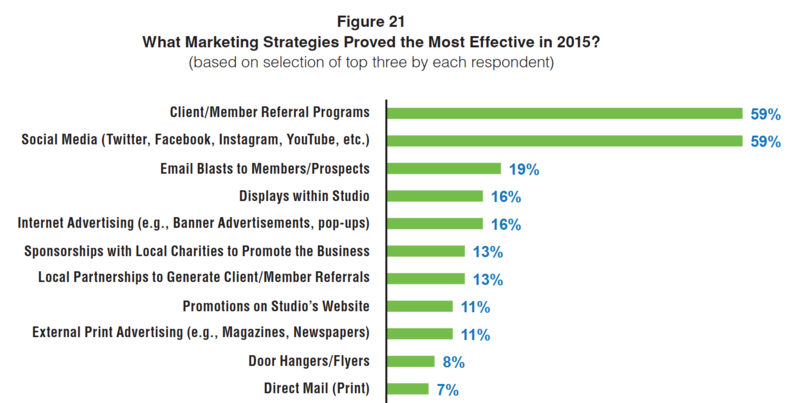 The AFS 2016 Marketing Best Practices Research Report comes specifically as a result of listening to our members and identifying the #1 area they requested more information. We surveyed hundreds of studio owners across the country - identified the successful strategies - and provide them to you, in this Report! 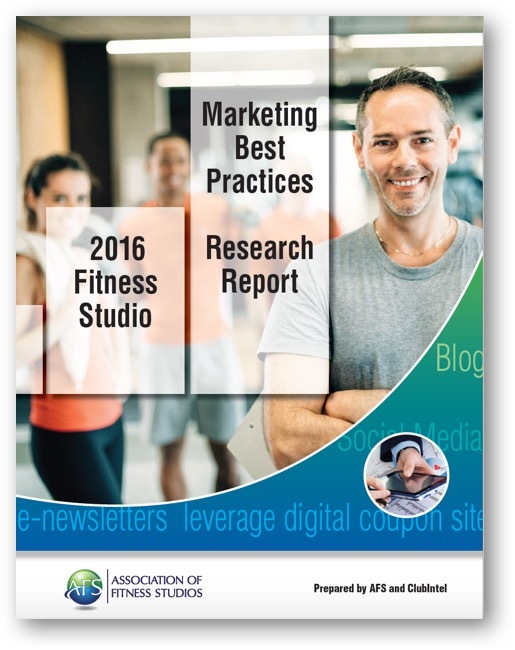 The first-ever research report of this kind for the fitness studio community! The average studio charges only 13% less for small group training vs. personal training. Data such as this is contained in AFS market research. With this data you could schedule more clients and generate significantly more revenue during the same time slot! Performance matters and knowing the best practices for an industry can provide a foundation for success. Understanding what the key performance metrics are can help operators determine where they presently stand, and more importantly, what they might need to do to improve. 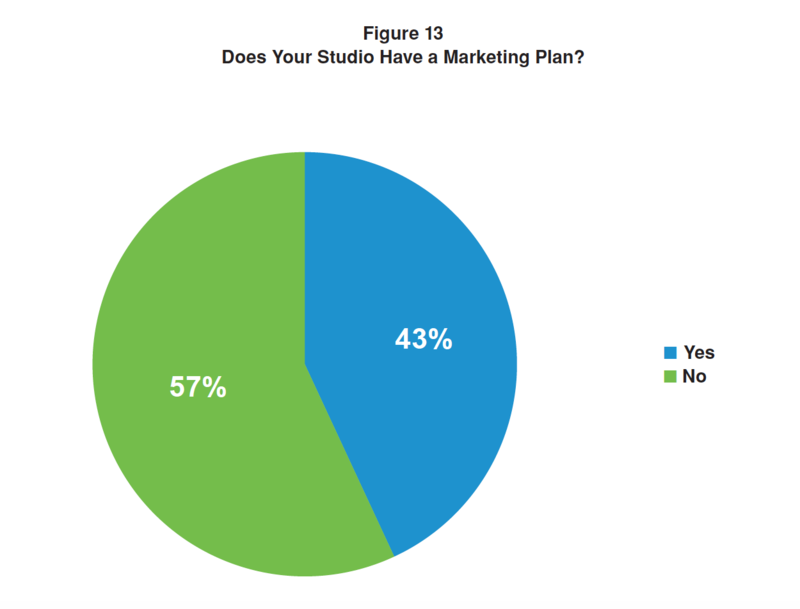 The most frequently used marketing strategies, as well as the most productive marketing strategies for studio owners, are those that come with a low cost of entry. In a highly competitive marketplace, such as the fitness studio space, having a value proposition that is unique can be the difference between thriving and struggling. Pricing strategies for all types of businesses, how much to spend, how to calculate what's right for you and recommended budgets! One of the variables that can impact a studio’s marketing performance is the allocation of capital. In the traditional fitness industry, that allocation is typically measured as a percentage of revenue and generally falls between 3%-5%. 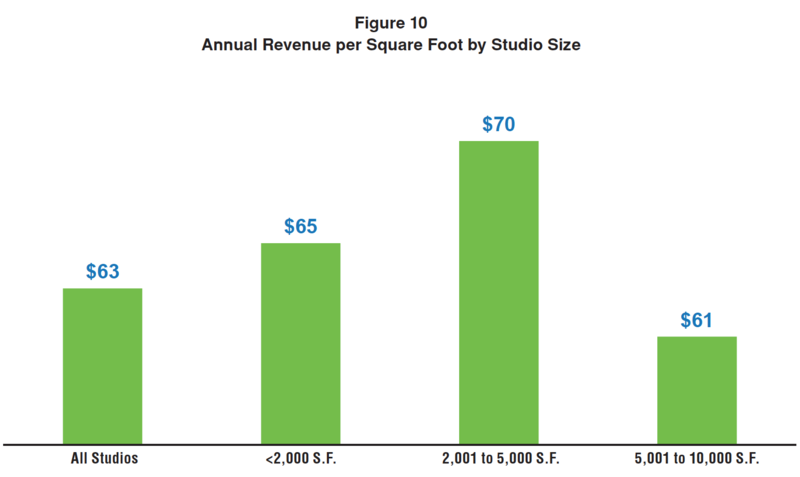 In this Report, we dive deeper into cost breakdowns and show you exactly how much studios are spending so you can plan accordingly. AFS Market Research like this can't be found anywhere else! This key section takes all the insightful, actionable advice, metrics, and key data and provides you the roadmap for your fitness studio success. Every business goes through life stages defined by its time in business, degree of business growth, and finally, its level of profitability. Infancy: Studios that have been in business three or fewer years. The primary focus for these studios is to drive significant Net Client Growth that will quickly build your membership/client base. Focus on call-to-action promotions that give consumers a compelling reason to join now. Call-to-action promotions should comprise at least 80% of your marketing focus, with the balance focused on sharing your brand story and building its reputation. Focus on a balanced approach that leverages a blend of reputation/brand enhancement promotions and call-to-action promotions. At this stage, it is imperative that the studio begins to assertively tell its brand story and foster a trusting and respected relationship with the market. This will require more content and image driven marketing. Maturity: This is the stage in which the studio has reached the peak of its growth, having developed a client base that is loyal, supportive, and relatively stable. Studios that have been in business at last 10 years.